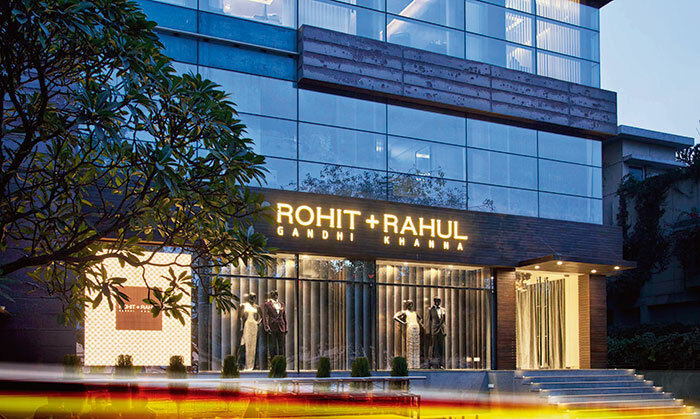 Reflecting their contemporary aesthetic in fashion, is fashion stalwarts, Rohit Gandhi and Rahul Khanna’s recently launched flagship store on the main strip in luxury hub Defence Colony. While the label has laid great emphasis on silhouettes and detailing, with core influences from contemporary modern art, linear structures and geometric lines, the store interiors reflect this passion for minimalism on two floors, the ground and the basement, offering their signature men and women’s wear. Making for a clean and uncluttered look, raw concrete merges with metallic elements, lacquered glass panels and signature gunmetal finishes. 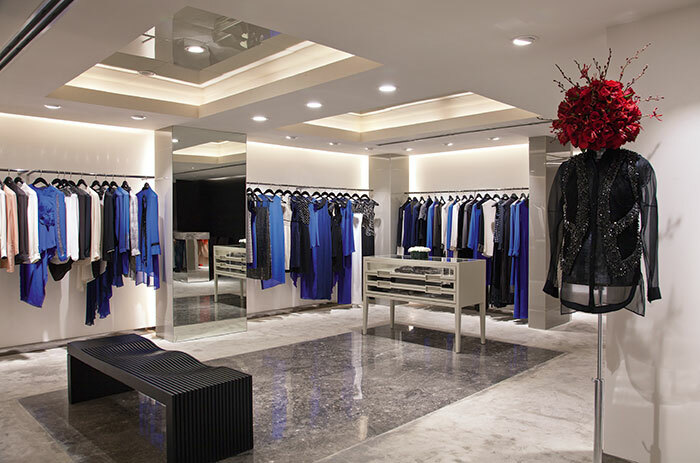 Contemporary art brings visual impact to the space while the entrance of the store is enhanced by a large metallic and blown glass chandelier especially conceptualised by Klove for this space. This piece, in a twist of design and innovation, embodies the logo of the brand. Contemporary modern in keeping with their fashion collections. The duo showed support to the freedom of expression and love, the theme being splashed across their visual merchandise, through installations of mannequins in positions depicting affection, while the branding clearly spelled out ‘Freedom of Love’.